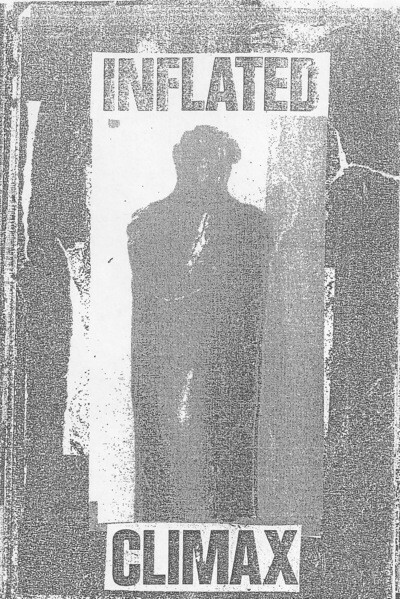 Inflated Climax are a new anonymous project on Trapdoor Tapes where their self-titled tape delivers crude and lo-fi industrial noise/death industrial sounds. This self-titled tape contains a single lengthy untitled instrumental track, which repeats on both sides. The composition has then obviously been spliced together from a series of recording sessions as the cover indicates this was recorded between 2015-2017. Overall the mood is dank and morose which is achieved through atonal, slow throbbing rhythms which are mixed with thick bass driven distortion. In one section, the slow throbbing beat rolls catatonically onwards, akin a container train lurching forwards to the end destination of an unidentified death-camp, while other segments feature stasis inducing minimal looped rhythms, or looser tonal modulations infused with soot and ash. 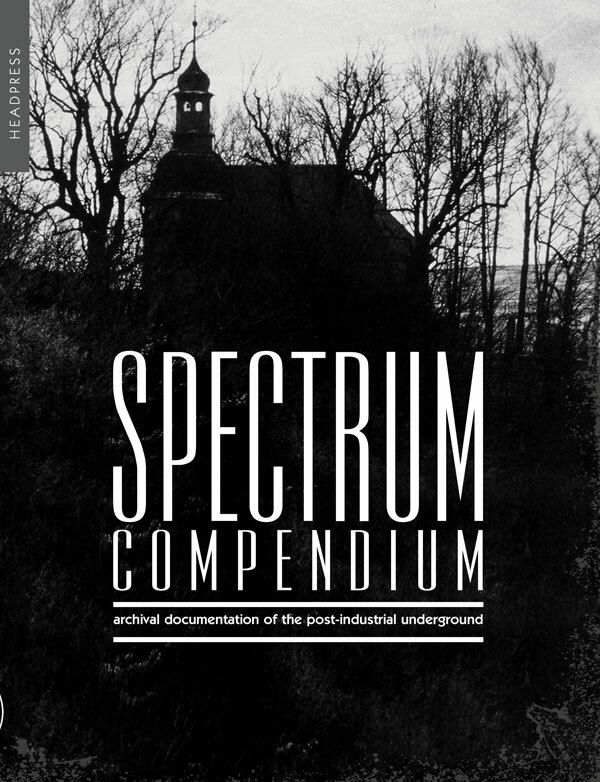 In some way this reminds of some of the long form experimentation of Atrax Morgue, but where that project’s free form sound was often clinical and mid to higher pitch, here the sound is a deep rumbling lo-fi death industrial approach in a restrictive and suffocating way, which certainly matches the visual cues of the cover. Obscure, crude and understated in equal measures, packaging comes in a plastic pocket with two double sided photocopy sheets with rubber fetish imagery. 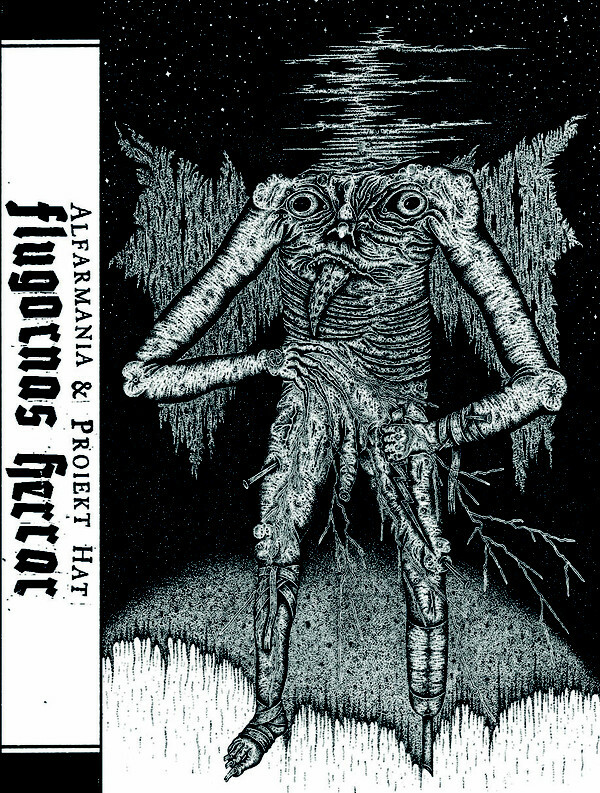 The prolific collaboration between Alfarmania and Proiekt Hat rolls on with Flugornas Herrar released in time to coincide with their performance at Tesco 30th Anniversary Festival. This new album length tape follows on from 2016’s honed and rather short Mardrömd Dödsström LP (reviewed here), and shifts gears into a sprawling long form format spanning 16 tracks and over 80 minutes of material. The liner notes then reveal the material itself was recorded between 2010-2017, while the title appropriately translates to: ‘The Lord of the Flies’. As an initial general observation Flugornas Herrar pairs back on the more urgent sonic elements of prior collaborative material, the general mood of the album is one of slow stalking morbidity and controlled psychedelic angst. 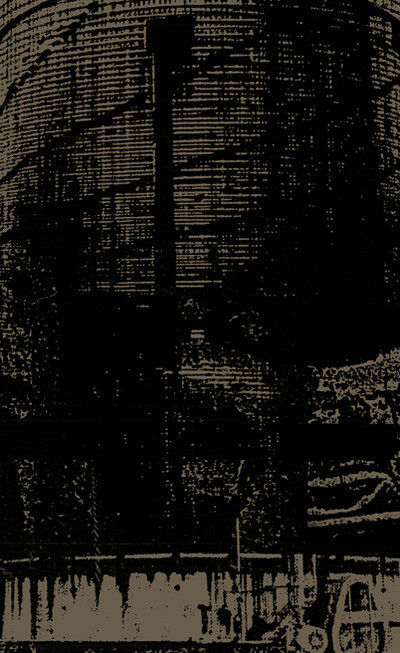 On side A (its subtitle translating to: “Though Enchanting Atmospheres”), an early track In the Dungeon of Solitude plays out as the duo’s interpretation of the early death ambient approach of Brighter Death Now (aka Great Death era), with its two note plodding bass, creaking metallic textures and garbled vocal chants. Then on Life-Extinguisher of Multitudes the wavering sonic tones, grinding synth lines, sparse symbol crashes and deep bass addled elements elevate the mood slightly, while the fantastically titled Soul Searching at Gunpoint, demonstrates how a darkly morbid tone can be generated with minimal of sonic elements. Rain of Oblivion round out the first side of the tape with a short piece based on a wonky synth line and myriad of looped elements. Effective and to the point. Like the translated subtitle “Through Oppressive Atmospheres” of Side B suggests, the mood takes a downward turn on an already negative tangent. Featuring a collection of tracks with a heavier grinding approach, this includes Genom Förtryckande Atmosfärer with its grim tone which builds to heavy sonic intensity, and the invasive tonal shards and creaking metallic resonance of Abnormal Gestation Termination. Late album track Magplask I Ett Bollhav Av Glödlampor rates a mention given its general sonic negativity, while another short track Soot Gruel focuses on pulsing and interweaving synth elements of queasy tonality. To then conclude the tape, the suitably titled Exact Moment Of Death Prolonged A Thousand Times features a hypnotic vortex of spiralling mid-toned synth lines, creaking metal and a dour organ sounding element to create yet more top notch material. It a general sense it would seem that the pairing of the minds or Mr Alfarmania and Mr Proiekt Hat and functions in such a way that high calibre material is generated with apparent ease, particularly given the wealth of material which has been issued in recent years. While this tape functions as a collection of individual tracks, there is still distinct flow between each piece, where final track ordering would also appear to have been carefully planned. Packaging wise, it consists of an 8 panel fold out J-card with suitably grim artwork and layout courtesy of Mr Alfarmania. Without it being a case of Flugornas Herrar being ‘better’ or an ‘improvement’ on earlier material, this is simply on an equal level to what has come before, meaning it is another mandatory release from the duo. Following on from 2014’s excellent ‘Astral Slaktmask’ cassette (reviewed here), the premier paring of Swedish underground post-industrial and ‘post-mortem’ focused minds return with a new collaborative album (…recorded in 2015). To then quickly reference the album’s presentation (…single LP sleeve with A5 double sided insert), it highlights the fallacy of the opinion of some that packaging and presentation means nothing given it is evidently “just about the music”. But with those with such a view, clearly they are missing the point when confronted with artwork such as this, given it absolutely sets the mood and tone before an single sound has bled from the speakers. The first track ‘We Came To Kill’ leads off in high calibre fashion with a multifaceted assemblage of shuddering noise, atonal percussive thumps, wavering analogue filth and oscillating textures to paranoia inducing effect over its lurching 11 minute expanse. Without doubt an excellent start. 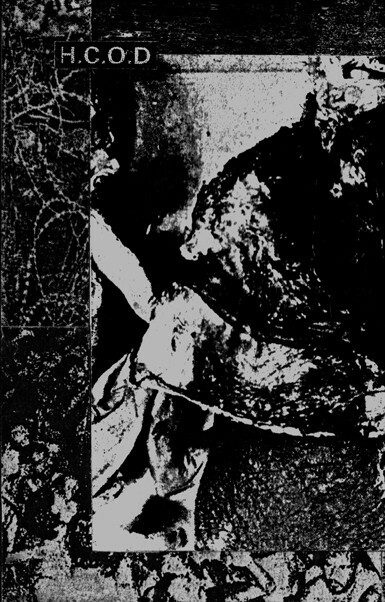 The following piece ‘For All Those Who Died: Endguldigkeit Des Dunkels’ is then not at all typical of the usual sound of either project given takes a ritual/ death industrial route of drawling chants, slow oil barrel beat, bass guitar throb and scattered metallic resonances. With a general stasis of overt momentum or variation, it evokes a sparse/ cavernous soundscape which is wholly unlike what you would usually expect from either project (…other than retaining a sense of rising dread which permeates proceedings). Side B reveals more typical sounds from the project (…meaning ‘excellent’), featuring amorphous post industrial soundscapes of creaking metal, drawling noise and general dirge driven post-industrial soundscapes (…3 short tracks of 3 to 5 minutes each). ‘Intern-Nationalist’ is a more direct and fierce sonic approach of forcefully drilling synth lines, crackling static and agonized wailing vocals, whereas ‘Friends In High Places’ is another album highlight of queasy oscillating/ droning textures and cascading junk metal tones. 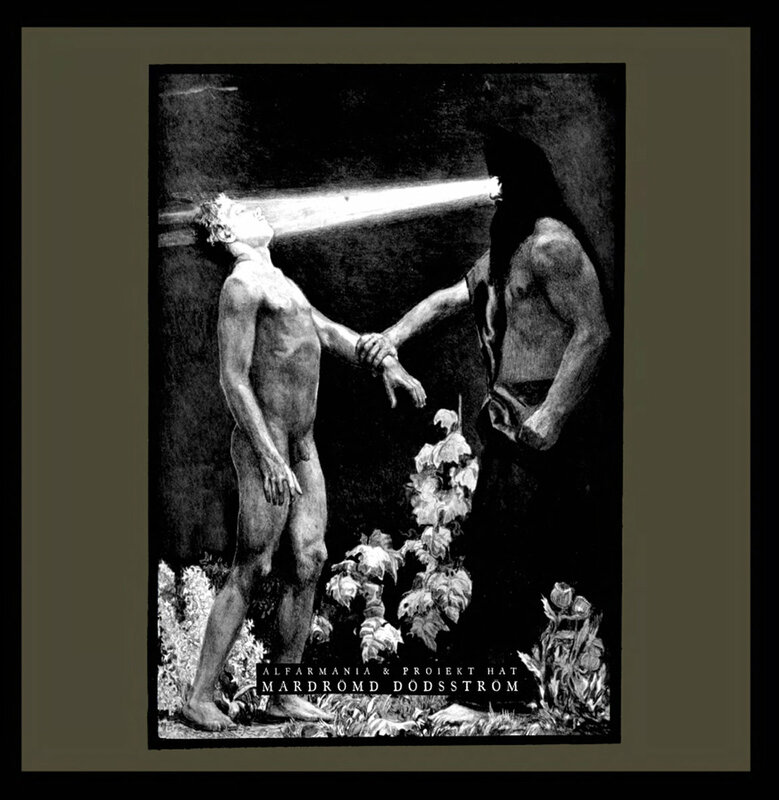 The final album cut is ‘Eldförgängelsens Apostater: In I Intigheten’ which grinds onwards within a bass toned rut of filthy (subdued) noise and sporadic metallic crunch, which builds to weighty impact before the plug is pulled. With only 5 tracks and a total of around 30 minutes of material this is a short and sharp album and clearly leaves me pining for more, but also makes every moment count with simply no weak of substandard material within its short play time. With only 300 copies this will no remain available for long. From its launch in 2013 this US tape label was quite active through to 2014 managing 11 releases in that time. Although 2015 revealed no new releases a batch of 3 new tapes have emerged in 2016, with 2 being reviewed below (…the third tape is a split between Swedish projects Alfarmania and Treriksroset in support of their US shows in 2016). Two years on from the 2 track ‘Negatively-Existent Cell’ (reviewed here), Arbiter have returned with a new tape ‘Radiating Panic Source’ which features 6 tracks (3 per side) and about 30 minutes of material. Again drawing clear parallels with a northern european post-industrial ‘post-mortem’ sound, Arbiter excel with their strong focus on composition to create short ‘song-like’ tracks. Analog grit and bass addled rumble forms the staple building blocks, with a further myriad of erupting sonic fissures and idling factory machinery for added complexity. 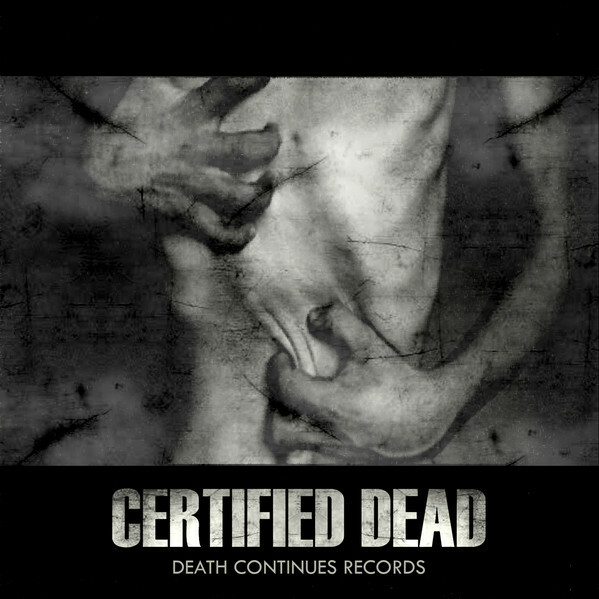 The opening title sets the scene perfectly with intertwining cyclic layers and a sense of cavernous depth, while the first track on the second side (‘Punitive Measures Guise’), is another standout with its distant oscillating resonances, forceful siren like alarm wails and distant industrial wasteland aesthetic. Fantastic. With the next tape I am not at all familiar with H.C.O.D. (short for Hideous Colors Of Decay), but they do fit perfectly within the sonic and visual aesthetic of Fieldwork. After 3 tapes issues in 2013 and 2014, ‘Instruments Of Destiny’ appears to be formal full length album, with 7 tracks spanning around 60 minutes. Although clearly within the same general sonic dimension as Arbiter, H.C.O.D’s approach is far more sprawling is scope and is a hotbed of caustic industrialized noise which bleeds out over greater length. Caked in sonic soot, the tone is one of analog filth where the tracks work on a dual level involving sustained cavernous widescreen bass rumble over which mid-toned squall, higher pitched ‘whistling’ feedback and junk metal crunch is belched. ‘Will to Oppression’ provides some variance with its centrally featured echo tinged and half chanted vocals, as does ‘Mutilated Victory’ with its garbled and undecipherable dialogue sample. Perhaps with its more singular overall approach, H.C.O.D.’s cassette is something akin to a marathon crawl through a post-industrial dystopian nightmare of wrack and ruin. As with all other Fieldwork releases, the packaging is noteworthy based on their pro-printed and grimly designed J-cards, where the Arbiter tape it includes a mini-foldout poster and outer cardboard slipcase. Although both tapes are excellent examples of their chosen stylistic slant, Arbiter is my personal pick due to its focused and direct approach.